Is there significance to the phrase "Jesus of Nazareth"? You bet there is! This was more than just a title or an address; the fact that Jesus was raised in the town of Nazareth says a great deal about who God is and what He is about. This Sunday we'll wrap up our Advent series, all about the unexpected way in which God became human and entered our world. This week marks the first Sunday of Advent as we celebrate Christ's birth. Advent simply means "coming." 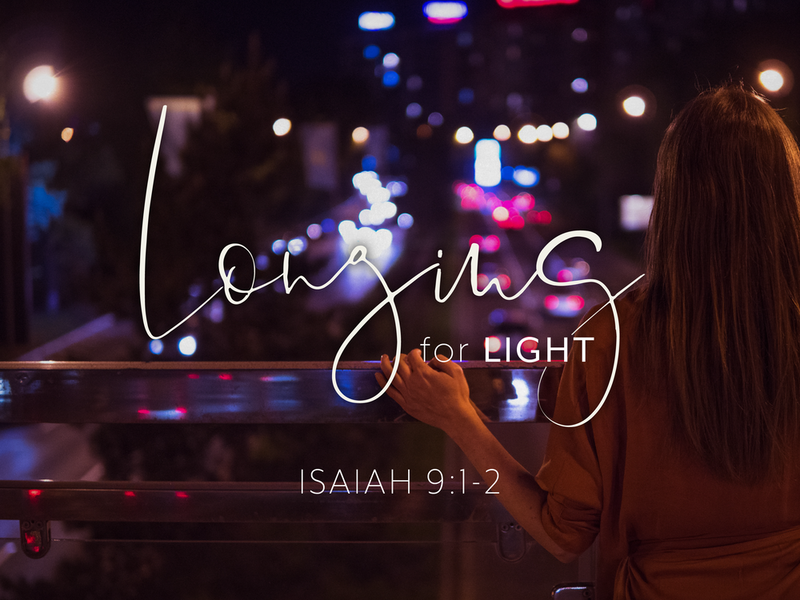 Together with Christians around the world in this season, we identify with Israel, who waited hundreds of years for the coming of their King and Savior -- as we also look forward to Jesus' second coming. But even though Israel had expected the Messiah's coming for hundreds of years, we'll see in this series in the Gospel of Matthew how truly unexpected his coming was in so many ways. Indeed, our God delights to work through unexpected circumstances in history and also in our own lives. Simeon received the unique promise from God that he would not die until he had seen the Messiah with his own eyes. This song is his response to the fulfillment of that promise: the moment when he held the baby Jesus in his arms. One of the lyrics of his song is, to paraphrase, "Now I can die in peace." What would it be like to be to able to face death with that kind of contentment? The Bible tells us that if we are in Christ, we too can not only die in peace, but we can live in peace too! We're looking at Mary’s Song (Luke 1:39-56), often called "The Magnificat" from the first line, "My soul magnifies the Lord." Mary is a troubled teenager who finds herself in an anxious yet glorious situation. Troubled because she is pregnant and unmarried, yet she knows she’s a virgin. But when God speaks to her, affirming his plan for her, she moves quickly from anxiety to adoration. It’s remarkable what a spoken word from God will do to the countenance of your soul. A word from God to you could move your soul from anxiety to adoration in an instant. Come…let’s talk about it.